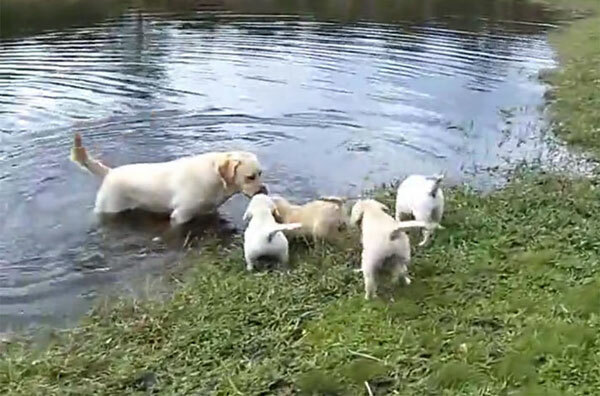 Watch this Labrador retriever dad teach his puppies to swim. 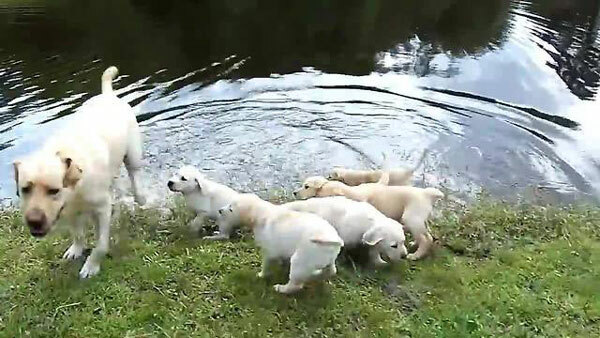 Here is a photo gallery of the swimmin puppies. 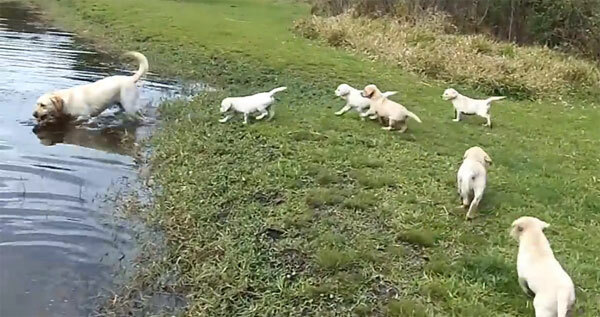 A happy Golden Retriever decides to join the outdoor group exercise class. 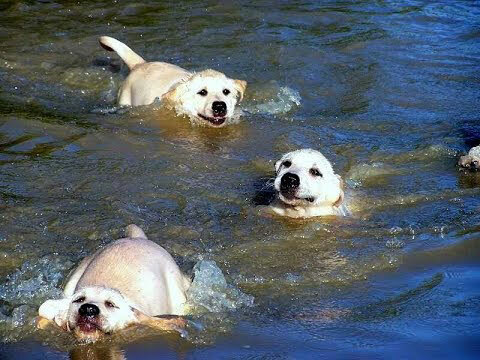 Watch as he enjoys the exercise class in his own unique way. 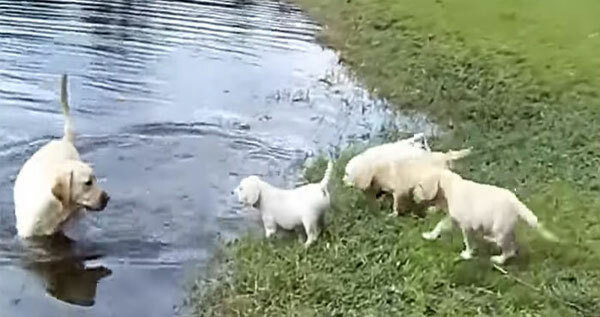 Doggie Exercise Video!